Alan Jeffreys continues his look at classic caving books with a review of a classic text that captures the excitement of underground exploration in the 1930s and 1940s as war raged and some of those involved were fighting on a secret front. Occasionally a writer with deep spiritual affinity for his subject produces a work of almost lyrical quality that becomes a true classic. Subterranean Climbers is such a book. Members of the Speleo-Alpine Club of Lyons commenced operations in the Dent de Crolles massif some ten miles north of Grenoble in the autumn of 1935 and continued their explorations all through the Second World War, finally achieving a triumphant through trip in 1947 to create one of Europe’s finest underground mountain traverses – at the time the deepest caving trip in the world. Pierre Chevalier’s narrative takes the reader through all the thrills and frustrations of modern cave exploration, including some tense moments when, all carbide lamps having failed, the party had to progress by striking a match at every change of direction! 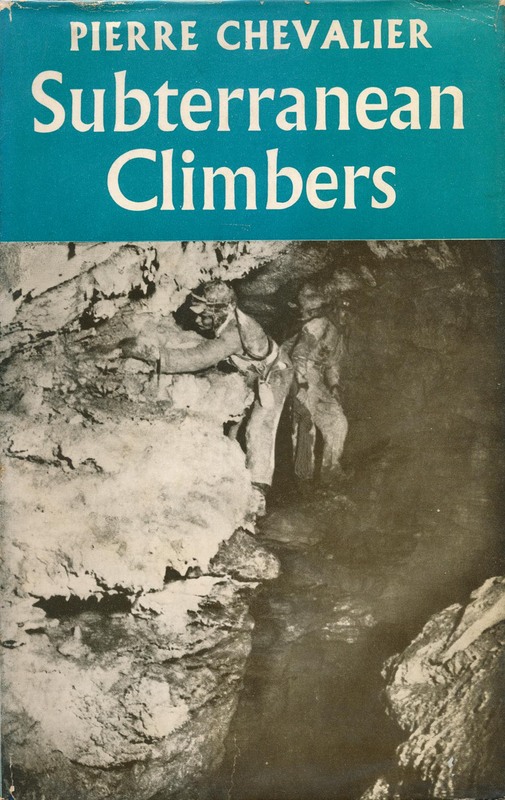 When I first read this book my perception of the Trou du Glaz was of a ‘big boy’s climbing frame’, with complicated passages, deep shafts and maypole climbs which just screamed adventure to the relatively inexperienced caver that I then was. Time has done little to modify this. 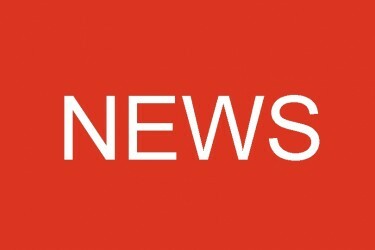 As a result of the Speleo Club de Lyon’s explorations, several different through routes are now available for the sporting caver within a system now some 55 kilometres total length. The homely text, which avoids hyperbole, involves the reader in every twist and turn of every trip. 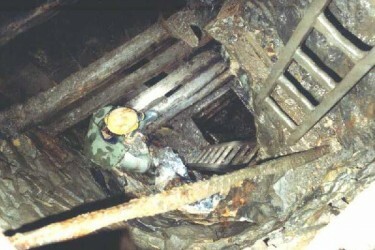 The link-up of the Trou du Glaz and the Guiers-Mort, for example, was defined by a ladder piton failure which hurled Fernand Petzl (yes, some big names were involved in this exploration) almost 20 metres down a shaft deep within the system. Fortunately he was – if only just – ‘walking wounded’ but that trip lasted for 29 hours, and it was another nine hours before he received any medical attention. Despite this, he was soon back in the thick of it. Other slighter incidents populate the book, highlighting the determination of the team despite every obstacle – the demands of wartime occupation being not the least. The sensitive translation by EM Hatt captures the charm of the text admirably so that the intervening 80-odd years have little effect in diluting what would be a gripping narrative in any era. 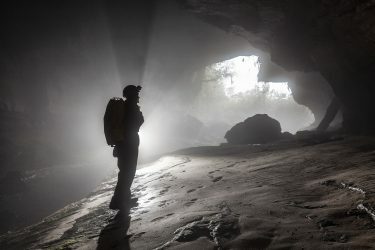 Subterranean Climbers encapsulates just what it is like to be in thrall to an idea – the concept that somewhere, someday, the cave system you are opening up is going to reveal its true potential and become a landmark in the history of speleology. As recounted on the dust jacket: “Unsponsored, ill-fed, dependent on their own ingenuity and courage, some of them fighting on a second and more secret front, they broke world records and added important chapters to the history of …. cave exploration.” This is a truly inspirational book for cavers of any era.